CultureLink – in partnership with United Way of Greater Toronto – has begun the Active & Connected Seniors Program that aim to maintain an inclusive safe space where low-income, newcomer and radicalized persons 55 years of age or older living in South-Parkdale find a home away from home. Every Monday and Wednesday, an average of 40 seniors from different nationalities meet to spend the afternoon together and to participate in a number of activities designed to promote physical, mental, spiritual, emotional, social, and intellectual wellness. Our program offers year-round settlement services workshops and English classes, as well as intergenerational programming through Global Roots Garden in partnership with The Stop Community Food Centre. 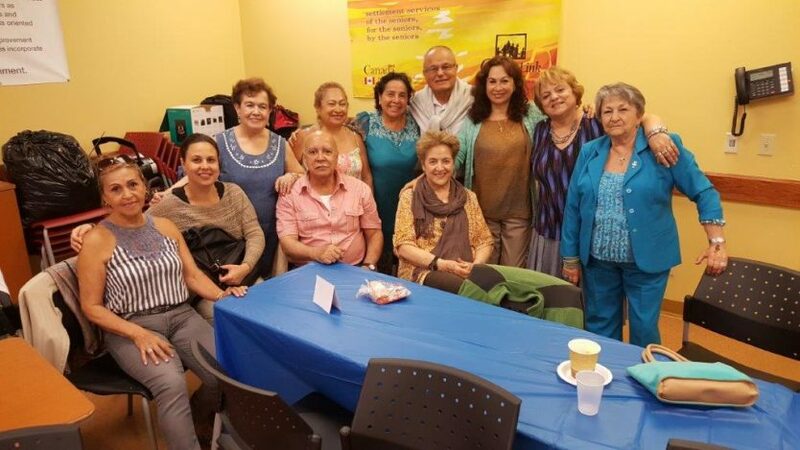 If you are interested in getting more information about the Spanish-Speaking Seniors’ Group, please contact Dora Leon at 416-588-6288 x237 or email at dleon@culturelink.ca. If you are interested in learning more about the Polish-Speaking Seniors’ Group, please contact Elizabeth Hamulka at 416-588-6288 x223.